I was looking at an old, pre-war map of Kuala Lumpur the other day and noticed a number of cemeteries that I was not familiar with. I searched for them on Google Maps and found that some are still in existence so I went along to have a look. 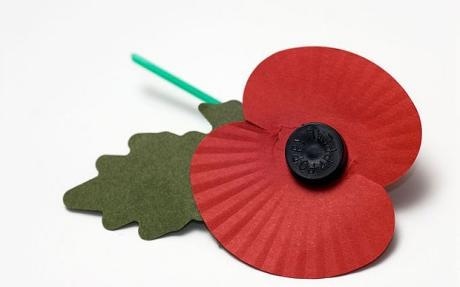 Since today is Remembrance Sunday it seems appropriate to share a few photos. The names of those buried in this small cemetery would appear to be mainly of Sri Lankan origin. 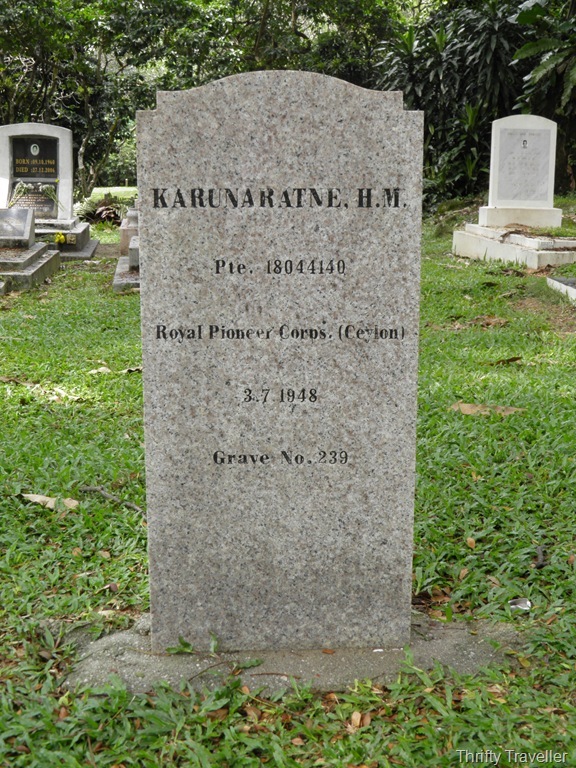 There are two military graves in this cemetery – Private H.M. Karunaratne and Private T.B. 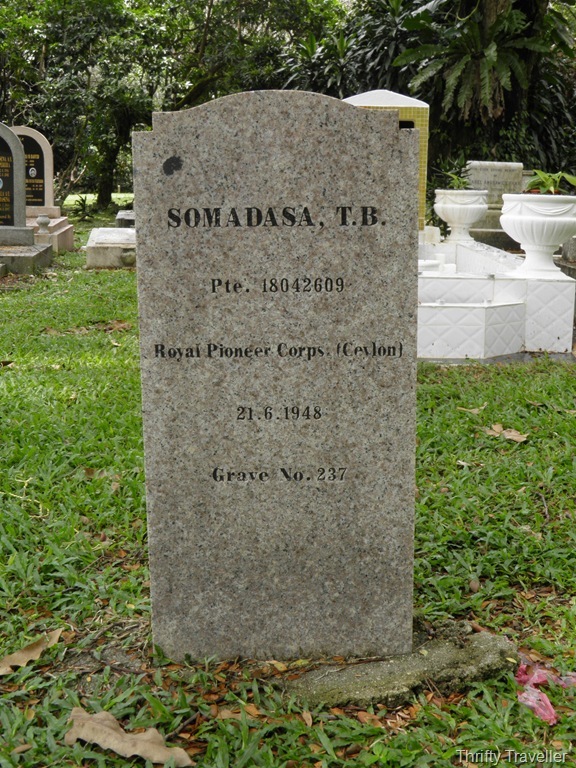 Somadasa, both of the Royal Pioneer Corps (Ceylon). 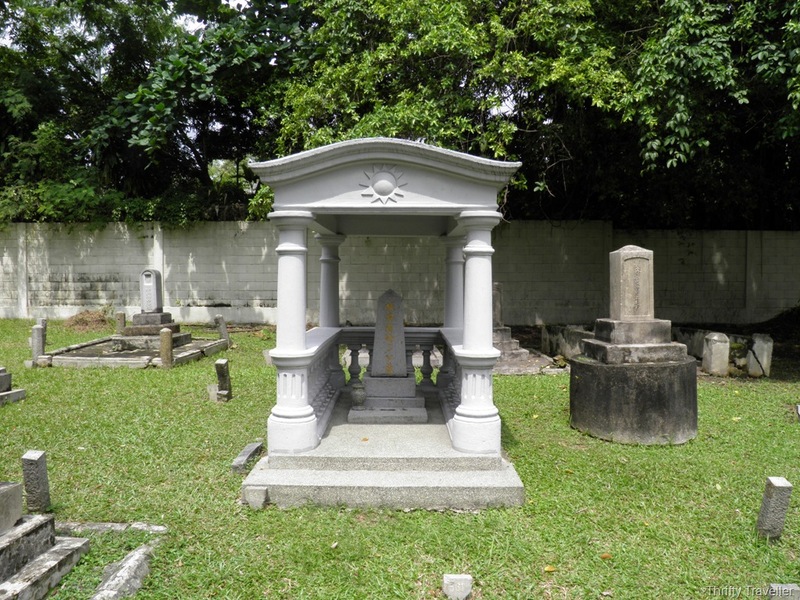 These graves are known to the Commonwealth War Graves Commission but since they are considered as ‘non-war service burials’ they do not receive the same treatment and are probably seldom visited, unlike those in the immaculately maintained Cheras Road Cemetery. These soldiers died on 3rd July 1948 and 21st June 1948 respectively. The Malayan Emergency commenced on 16th June 1948 so it seems likely that they were among the early casualties. There is another possibility. A newspaper article from earlier that year reported how all 800 men from the Ceylonese Royal Pioneer Corps were confined to barracks under an armed guard of Gurkhas following serious rioting in Kuala Lumpur. It seems they were recruited under British Army pay scales but after Ceylon became independent on 4th February 1948 they were switched to new terms with lower pay, which would have been enough to provoke the riot. Another newspaper article in early June 1948 tells how 10 soldiers from this unit were to appear on a court martial charged with mutiny, a serious offence with potentially fatal consequences. Of course these articles may not be connected with the two graves but the timing is about right. Next to the Buddhist graves are some Christian headstones. The old map named this the Roman Catholic cemetery. 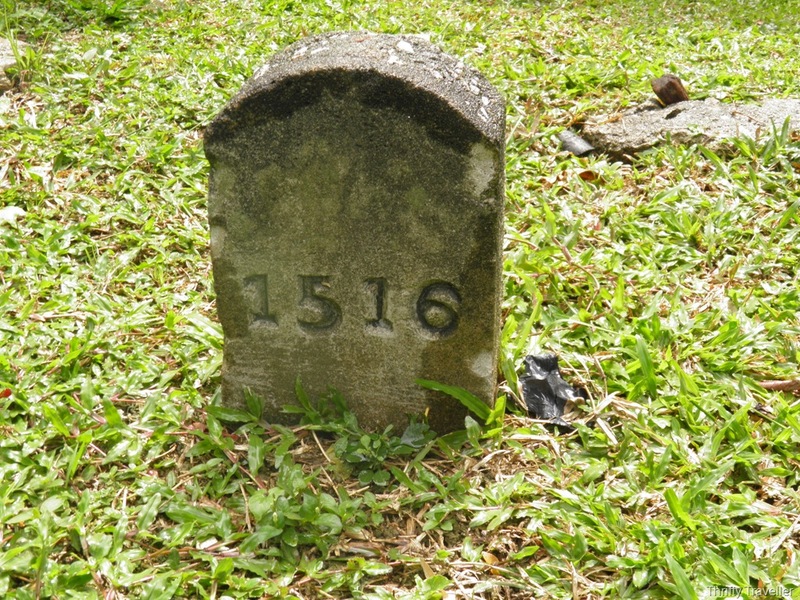 After checking a few names on the internet, and judging by the faded photos on some of the headstones, my guess is that this cemetery was used mainly for people of mixed race, or Eurasians as they were called under the racially segregated colonial system. This cemetery is also the resting place of hundreds of unknown victims of World War Two whose small headstones are marked only with a number. 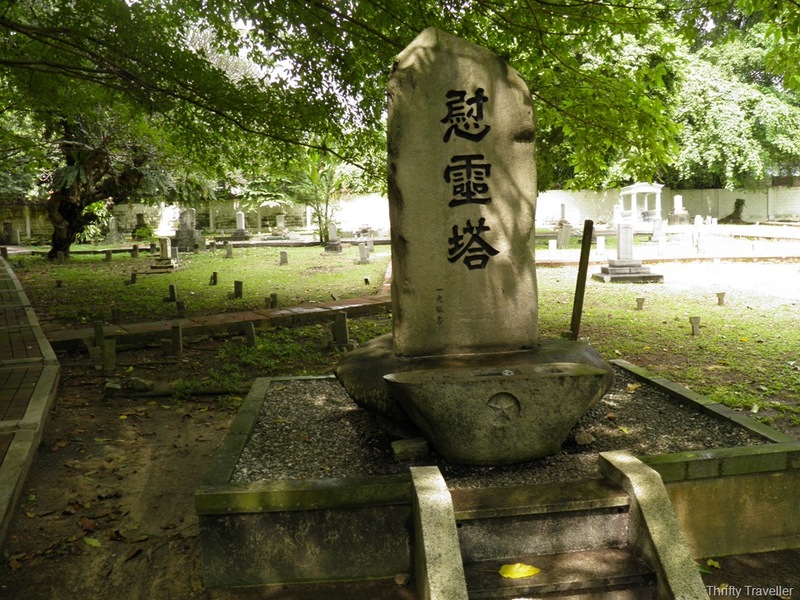 Directly opposite the unknown war graves is the Kuala Lumpur Japanese Cemetery which has been in existence for more than 100 years on a plot of land granted to them by the British colonial administration. It is a gated and well tended cemetery with a notice board listing the graves and their locations (in Japanese only). The caretaker, Billy, very kindly showed me around. He pointed out the grave (bottom left) of the 34 victims of Japan Airlines Flight JA8051 which crashed into a hillside in 1977 while trying to land at KL airport during a thunderstorm. The stone on the right commemorates Japanese servicemen who died during the War. Since some of them might be responsible for the unknown graves in the field opposite, the less said about them on Remembrance Day the better! 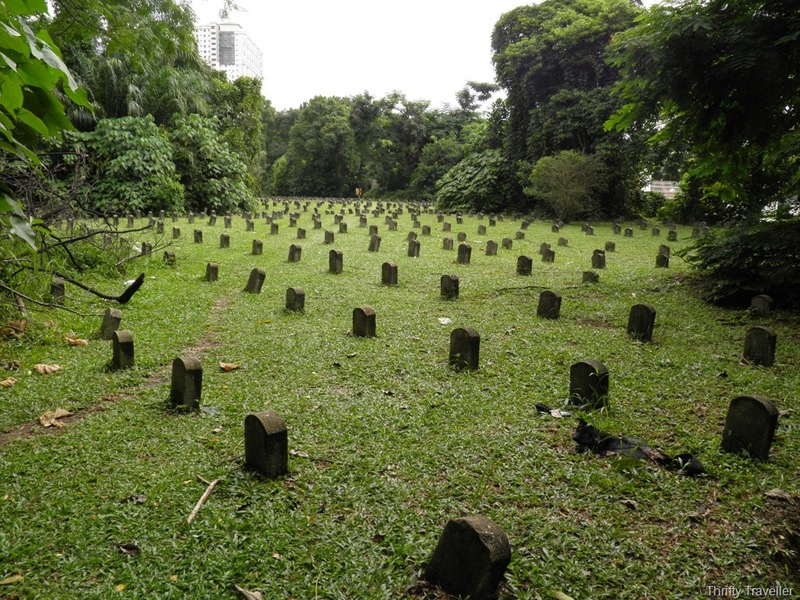 The old map shows a Protestant Cemetery just behind the Railway Administration Building on what was Venning Road (now Jalan Perdana). 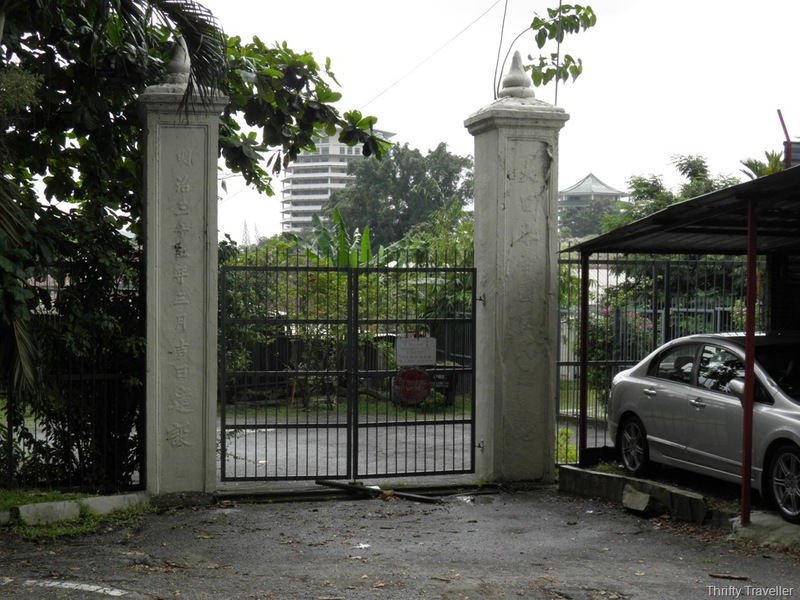 An Islamic Centre (Komplex Pusat Islam Malaysia) now stands on this site. 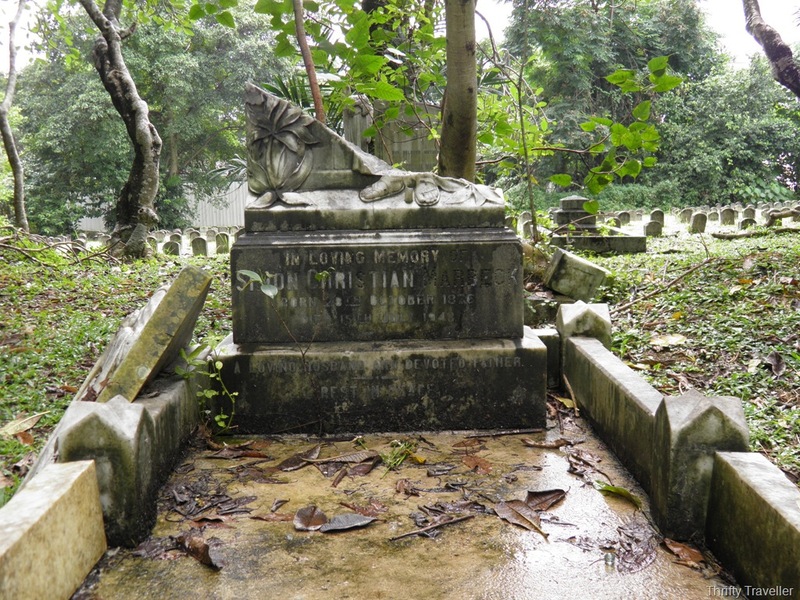 Presumably the graves were relocated long ago, perhaps to Cheras Road Civil Cemetery. 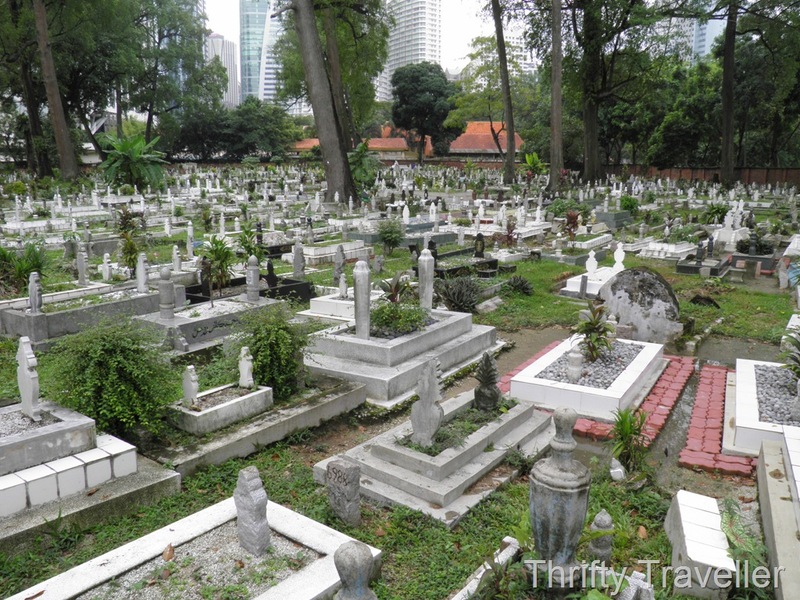 Hidden from view behind the Maya Hotel and just a short distance from KLCC is a surprisingly large Muslim cemetery, which on my old map, and on the Commonwealth War Graves website, goes by the archaic name ‘Mohammedan’. 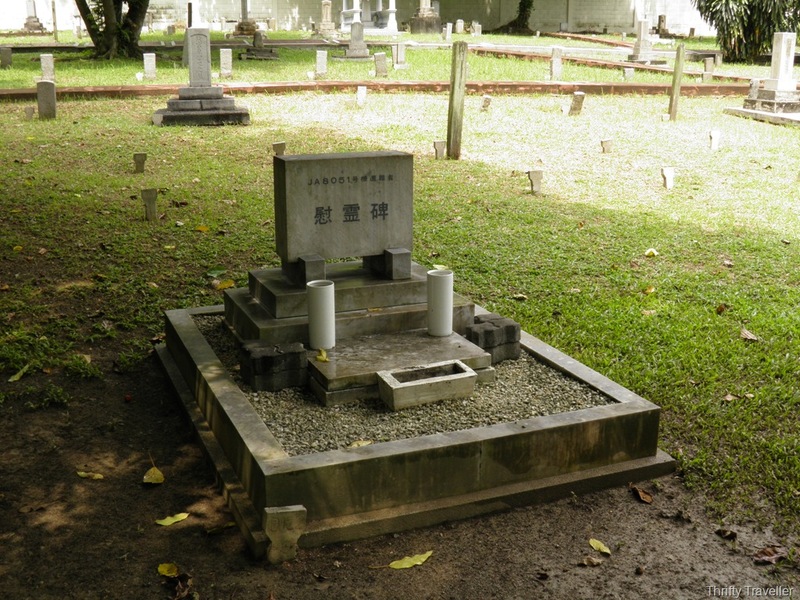 There is another British non-war serviceman from the Malayan Emergency buried here, a Corporal Ajetumbaya Mlumbe of the 1st Battalion King’s African Rifles who was killed on 12th March 1953. Unfortunately I was unable to find his grave but his sacrifice is not forgotten.